Bob joined the Northfield community in 1976 with his wife, Julie, thanks to George and Maeve Blackman. At Northfield, Bob found permission to be his true self and felt completely accepted and supported in his personal growth. 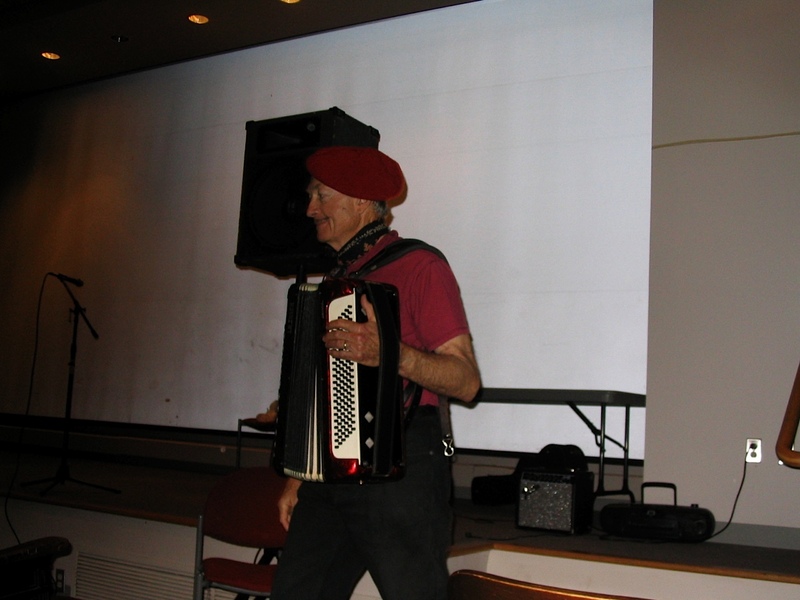 He loved music and was often seen with his accordion (and occasional beret!) in the evenings and Talent Show. In Julie’s words,”Northfield created a whole community for us, helped us open our hearts to each other and to the dear friends we have made. It has been such a rich experience in all respects, and now, without Bob, I feel the support and love of the many who knew and loved him.” Bob passed away in 2012 and his sweet smile and quiet manner will be with us always. I loved walking to Talent Show on the old campus to find Bob joyfully playing his accordion. He was a gifted man with a persistent smile and big heart!